As we enter 2018, we see that the digital marketing landscape continues to change and evolve. Marketers need to keep their eyes open to these changes in order to stay ahead in the game. Following current trends is as important as running your business itself. Learning new tips and tricks is of utmost importance if you wish to ace your digital marketing game. SEO (search engine optimization) is one of the most effective and competitive online marketing strategies. Essentially, it’s a set of rules or framework that websites need to follow in order to secure a top rank in search results. Studies show that Google’s first page gets over 90% of total clicks from web users. And the rest of the pages combined only get 10% or less. So brands looking to promote themselves and enhance their growth should definitely consider SEO. Even though 82% of marketers understand its effectiveness in business, SEO isn’t an easy game. With search engines continually updating their algorithms, marketers need to constantly adapt to these changes. So, with 2018 upon us, it’s a good time to have a look at the top SEO predictions for the year. This will help you create a foolproof strategy when it comes to SEO. With the advancements of technology, we are leaning towards heavy smartphone usage in this fast-paced environment. Consumers look for convenient and fast results to their queries. 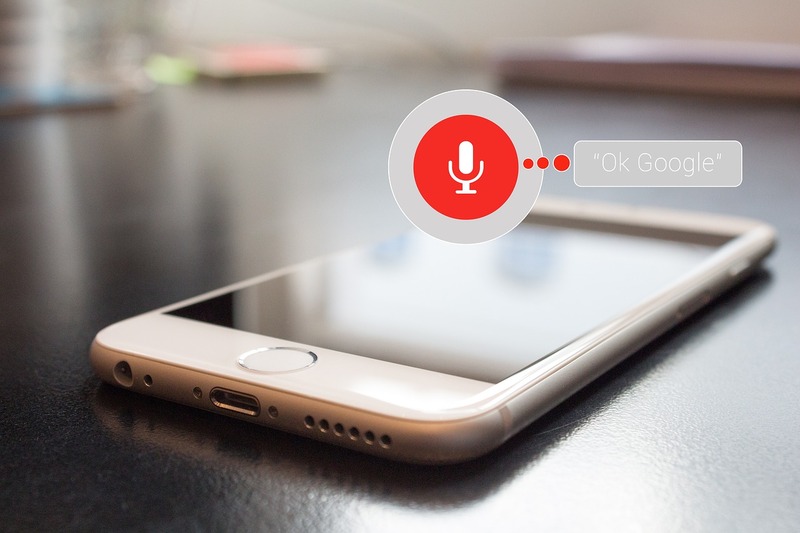 Voice search is a hands-free and quick option in which people use simple spoken English to ask questions. It uses speech recognition technology which allows users to directly speak to a search engine via handheld devices. Using Natural Language Understanding (NLU) and Automatic Speech Recognition (ASR), voice searches return information based on the user’s spoken query. Although voice-based search has been around for over a decade, it is recently outperforming text-based search. It is a trend that's seeing greater consumer usage as well as technological advancements. The hands-free approach makes it a more appealing and efficient method of requesting information. A MediaPost study found that 30% of all searches will be done without the help of a screen by 2020. This is further supported by the study called “Activate Tech and Media Outlook 2017” by Activate. It states that there are going to be 21.4 million smart speakers in the United States by 2020. When it comes to SEO, many marketers make the mistake of placing keywords everywhere and over utilizing them. Remember, voice search doesn’t solely use keywords to locate the information closest to the requested search. Here are some of the best ways you can optimize your content for voice searches. Use long-tail keywords in your content can make it more responsive to specific queries. Select keywords like “who,” “where,” “when,” “what,” “why,” and “how” in a way that makes your content more conversational. Incorporate FAQ pages with questions that are worded in a way that people generally ask their digital assistants. And include informative and clear answers to those questions. Incorporate local search engine optimization (SEO) as many voice searches tend to look for nearby places. The only concern with long-tail keywords is that you need to select them carefully. The ones that your target audiences are searching for, but for which competition is medium/low. With tools like RankTrackr and Pro Rank Tracker, you can easily keep track rankings of your website and monitor new keywords. It helps you keep track of ranks for all of your long-tail keywords. You can easily check how well you are ranking in local searches so you know what adjustments you need to make. With features like web-based tracking, search engine coverage, and a state-of-the-art algorithm, it will help you save time and maximize profits. The sales of smart speakers like Google Home and Amazon Echo skyrocketed in 2017. This suggests that sales will only grow further in 2018, as newer specs start being rolling out. The heavy growth of voice search is making businesses change the way they look at search engine result pages (SERPs). Visuals-based content is one of the most powerful forms of communication available to brands. As the human brain processes visuals efficiently and effectively, visual content is much more engaging. In modern times, an increasing number of people are moving away from text-only content to visual content such as videos and images. This is the exact reason why such content attracts large numbers of people instantly. If used correctly, visuals-based content can be an extremely powerful weapon to aid your overall SEO strategy. However, one of the major mistakes marketers make is not defining goals for their visuals-based SEO strategy. Many marketers think commissioning the creation of “cool” infographics will help their overall strategy. They often get blinded by the thought that infographics build links. And they do not think about conversions. But why do you want to create a content in the first place? To boost conversions and increase returns on your marketing investment, right? 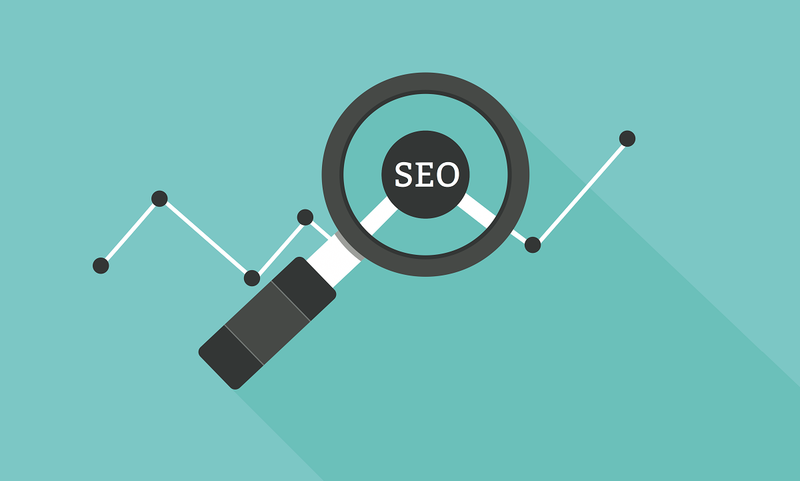 So it is very important that your goals are clearly defined for your SEO strategy. If goals are not defined in the early stages, your content can end up costing you quite a bit of money. Money that could have been better spent elsewhere. Building Connections: If done well, visual-based content can generate many connections for your website. The issue with visual-based content is that if the video or infographic is not exceptional, its success will be limited. The above image represents exceptional visual content. Here we see popular health and lifestyle YouTuber, Aaron Marino, promote his line of men’s grooming products “Pete & Pedro.” In the video, Aaron educates his audience, makes them laugh, and entertains them. This evokes a strong emotional reaction that makes his viewers want to share the video. The video has over 3 million likes, which is incredible for a promotional video. It is also among the best examples that showcase how visuals-based content can generate large numbers of backlinks. Increase Conversions: Other than creating visually mesmerizing content, your visuals-based SEO strategy should also focus on increasing revenue. When a visitor lands on your website, you literally have seconds to impress them so that they stay on your site and eventually buy from you. Product videos are one of the most effective ways to drive conversions. The above image is a great example of how product videos can drive conversions. In the video, we see how Amazon not only showcases the product, but also the ways you can use it. This not only gives consumers confidence to make a purchase but also creates a need for the product. Applications like Canva can help you create content that’s visually attractive and pleasing. Their easy-to-use format gives it an edge over other free graphic-designing tools available. Canva also provides free tutorials and lessons which makes it the one of the most popular graphic design tools worldwide. Structure data is a framework or rules of formatting HTML in a way that uses a specific vocabulary. This tells search engines not only how to interpret, but also how to display content in search engine results pages. The bottom line is that structured data markup tells Google what exactly your data means. It helps Google interpret the information you want to share with your readers. If Google’s AI is able to understand your information clearly, you’ll have a greater chance of appearing higher in search results. Google’s algorithm is known to rank websites based on the amount of valuable information each website provides. This is the exact reason why Google lifted its meta description limit to 320 characters. To make sure users stay engaged with Google, and do not wander away. However, valuable information alone cannot ensure a top search ranking. Using structured data along with useful content takes you one step closer to your ideal search ranking. Structured data markup is available in abundance. It is included in things like movie and event timings, to information on new product launches and expositions. You can utilize schema by creating a list of your site’s pages, and finding a schema option for each page. Make sure any contact information, ratings, and reviews are up-to-date. Even with structured data markup, your site may not appear in the top results if the information is not up-to-date. Here’s a perfect example of how Google uses structured data markup to give users the most suitable results. The above results appear on Google search results page when you search for “pumpkin pie recipe.” You’ll notice that the first result is of the website “allrecipes.com.” Because this content has rich snippets, schema markup tells Google to display it as a top result. Since its inception in 2015, RankBrain’s growth has skyrocketed. RankBrain is Google’s own machine-learning Artificial Intelligence (AI) that helps in processing search results. From the time of its introduction, it has gone from handling 15% to 100% of all searched queries. However, Google’s interest in artificial intelligence extends way beyond RankBrain. The company went on to develop Cloud Vision API. Cloud Vision API has the capability of recognizing colossal amount of objects. In fact, Google’s expertise in machine-learning has allowed them to even sell it as a standalone product. Google has embraced artificial intelligence with open arms, and is incorporating it into all possible spheres of their search algorithms. Artificial intelligence does not change much when it comes to its application in SEO. The primary goal of machine-learning is to make similar predictions to that of humans. So optimizing content for artificial intelligence essentially means optimizing it for humans. Here’s an example of how Google uses artificial intelligence to provide relevant results that match the user’s intent. Instead of just providing a list of organic search results to the question “Where was Harry Potter Shot?” Google first displays definite answers. And then goes on to display other organic search results. Additionally, Google returns a list of the most searched questions related to the topic searched by the user. This is truly helpful for users as they know what else to look for on the subject. With smartphone usage growing rapidly, companies should think of making their websites smartphone friendly. With the benefit of using them anywhere, smartphones are making it easier for people to access the internet anytime, anywhere. This also means that Google has taken this into account. Companies have started realizing the importance of having their sites rank higher in mobile searches in addition to desktop searches. Consumers are on the lookout for content that is rich in data on their phones. So ensuring that your website is well-equipped to stand out in Google’s mobile search results is extremely important. This will help you attract large volumes of traffic as Google picks your content and displays it in search results. Here’s an example. When you search for the phrase “lip cosmetics” on Google, the top result on desktop is the website “www.elfcosmetics.com.” To check if the same result turned up on Google’s mobile site, the same search was conducted on a smartphone. As you can see from the above images, the top result on mobile search is the same as that on desktop. This indicates that the company “e.l.f. cosmetics” has done an excellent job with their SEO, both for desktop as well as for mobile searches. The above-mentioned predictions are “sure bets” to help you nail your SEO strategy. 2018 might not be a volatile year for search engine optimization, however, it’ll surely bring in a few changes. Marketers will need to keep up with the new changes in order to stay ahead of the game. Mobile websites will also need to have good quality content so that they can perform well in searches. Do you know of any other SEO predictions for 2018? Feel free to mention them in the comments section below. This is a guest post from Shane Barker. Follow him on Twitter.